The electric scooter trend has come to California. 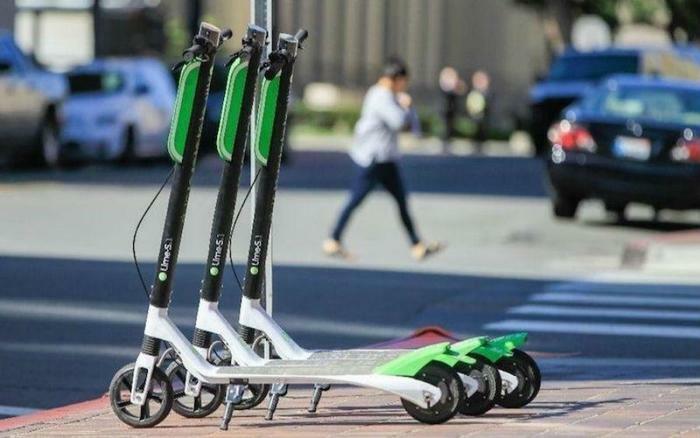 Companies like Bird and Lime are capitalizing on this trend and their scooters are popping up everywhere. These electric scooter companies manage scooter share programs. Managed with a smartphone app, riders can open the app to find available scooters nearby. Once the rider selects an available bike, they scan the scooter code to unlock it. Once they are done with the scooter, the rider locks it and leaves it waiting for the next rider. While electric scooter companies sing the praises of this mode of transportation as being environmentally friendly and a great way to get out in some fresh air, they fail to mention how dangerous they can be. These scooters travel up to 15 mph. They are small which makes them harder for drivers to see. There is no protection surrounding the scooter rider and that means the slightest mishap could lead to the rider sustaining severe injuries. This is why some California cities have imposed rules specific to electric scooter riders. Los Angeles has imposed speed limits. San Francisco now has mandatory insurance and rider education. Just like other accident cases, the question of who is liable if a scooter rider gets injured depends on the facts and circumstances of a specific case. If a car is at fault for causing a scooter rider to sustain injuries, then the driver of that car is liable. This means that the vehicle driver’s automobile insurance carrier will most likely compensate the rider for any injury and other losses sustained. If a pedestrian is found responsible for causing a rider to injure himself or herself, they are liable for causing the accident. In this type of case, the rider may be able to recover compensation from the pedestrian’s homeowner’s insurance or even renter’s insurance. Some scooter riders have had the misfortune of injuring themselves when a scooter malfunctions. In these cases, the scooter company is liable for the resulting injuries. The problem is, however, that scooter companies are working very hard to avoid accepting any liability in these cases. The user agreements these companies have created say that the rider agrees to release the company from any liability and the scooter companies are denying injury claims based on this. The agreement reads that the rider assumes responsibility for any injury sustained while using the scooter and holds the company harmless from any injury claim. Electric scooter injury cases present difficult legal questions. It can be a tough fight to get the other party to accept liability for causing your injuries. This is why having a skilled personal injury attorney by your side is so important. Our attorneys will stand up to big insurance companies and fight for your right to receive full and fair monetary compensation for your injuries. You have legal rights that we are here to enforce. Contact us today. Previous Previous post: Who is Liable for a Slip and Fall in a Parking Lot? Next Next post: What is a Survival Action?